Absolutely in LOVE with the B-Hobo bag in mustard as well!! My fav color & it's a super cute bag! I LOVE LOVE AND MORE LOVE the New 2Sues bag. I would like it in the Mustard color. Kelly Moore has a God given talent for her creative eye and is blessing photographers through it. You made me LOL about the friendless dude! The brown Kelly Boy Bag is so darn cute!!!! I love the Kelly Boy Bag in brown! I'd love to have the new 2 Sues bag in black...it'd be the perfect diaper bag! I love Kelly Moore bags! I would likely pick the Mimi bag in grey. So classic! I am loving the B-Hobo Bag in Heather Grey. i was so excited that i forgot to leave my email address...i'm so sorry! I'm a pink girl, all the way, so The Classic is right up my alley! And I'm even in the market for a new camera! It would be the perfect match! Such great bags! My favorite is the Mimi in the grey. Tough choice, but I think that ultimately the Libby Bag in Lavendar wins my heart! I'm really digging the Kelly Boy bag in dark brown. So many to choose from - Kelly Moore has such fabulous bags. I'd love to own the B-Hobo bag in Walnut or Mustard. My absolute favorite is the MIMI bag and the GRAY is my favorite color.... I LOVE them all though!!!!!!!! fingers crossed.....tight! What gorgeous bags! I especially love the B-Hobo Bag in Muted Teal. I love the 2 sues in walnut! Love the Libby and the Juju, probably in a neutral color but who knows I might step out of the box with one of these beautiful bags! Love the Juju in walnut! Also love the Libby in Sapphire. They are gorgeous! I love love LOVE the new 2Sues bag. I would like it in the mustard color. Kelly Moore has a God given creative eye and she is blessing other photographers through it. OH MY I just love a Kelly Moore Bag! Although a new owner myself, I would adore the B Hobo in gray, I've always loved that one can't get over it! LOVE the mimi bag in black! I like the purple Classic, but they're all so cool. I love the Libby and the B-Hobo in the muted teal! 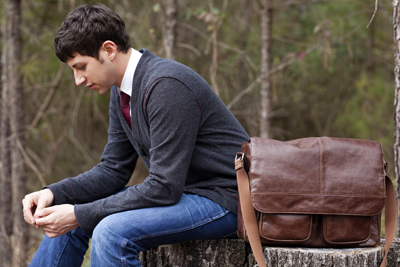 The boy bag in brown. Sigh. Must share as he's typically the one taking all the snaps. New follower of your blog! Love it! I am such a fan of the Kelly Moore bags and dream of owning my own!! I want the MiMi in grey!!! My FAVE is the JuJu in Walnut! I am in need of this bag! Just this morning my husband commented that I had to quit putting my DSLR in an unpadded bag! :) I love the B Hobo in Mustard. It would be my ideal bag. Thanks for a great giveaway opportunity! That's a tough call. I think I'd have to go with the Kelly Boy in Grey because really the hubs carries the camera around more than me. Such lovely bags! I love love love the B Hobo in gray! I have totally been eying the B-Hobo in Grassy Green for months! I would be over the moon if I won! love the poesy in gray! I have to say the Classic Bag in Cranberry Croc is definitely my favorite though! The B-Hobo in walnut is gorgeous. I would like it to come live with me. i actually really like the kelly boy in mustard - all of the bags are gorgeous! They are all so great! I love the 2 Sues in mustard. I love the classic in fuschia! Her bags are AMAZING!! I already have one but I'm outgrowing it- So I really want the.. I need space for more lenses, and a lappy! I love the Libby in Mustard! Gorgeous!! I love the different Kelly Moore bags!! It's hard to find something so stylish yet so functional! I would love to be able to carry my equipment around in The Libby in orange!! The JuJu is great. It was hard to decide though. I can not believe it!! I just purchased a new camera and am in the market for a camera bag. I have been drooling over the kelly moore bags and lucky me for "Liking" HOW ABOUT ORANGE a long while back!!!!! 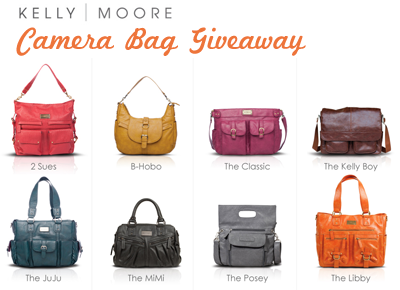 A GIVEAWAY OF A KELLY MOORE BAG!!! The classic in purple or grey, I can't decide! My comment keeps having an error, hope I am not commenting over and over! I adore the Posey in grey. Swoon. I have spent quite a bit of time looking and having a hard time deciding! I think I am going to saaaay...B hobo in heather grey. But I have a bit of a crush on the JuJu and the MiMi. sigh. Ooh, yum!! I see there are already a million posts so my chances of winning are pretty slim, but I absolutely love the B Hobo in mustard! I'm a sucker for mustard on anything but a hot dog. All of the bags are to die for! All the camera bags I have seen before have been downright ugly! I think my favorite is the MiMi in lavendar! Either that or 2sues in raspberry. Yummy! I think we're all slowing down her site. I LOVE the Libby bag in Grey! The B-Hobo bag in mustard is my fave. I've been coveting it for a few months now. 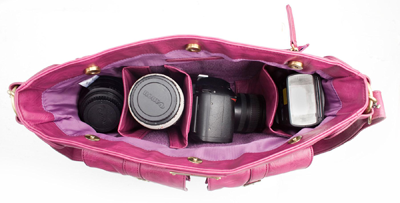 There's no excuse for not always having your camera on you with such great bags to safely carry the equipment! I love love love the Libby bag in caramel because they don't have one in pink! :( They should definitely make one in pink I think!! The 2 Sues in Mustard - oh so fun! I love the B-Hobo Bag in Heather Grey. Wait, no Mustard Yellow. No, Heather Grey. Crap, I love both colors so much I can't decide! Well, right now I'd say the Classic but if I win I know I'll have a tough time actually making up my mind! They are all so nice! Hands down, the grey Libby! Oh my gosh, I have been dreaming about these bags!!! They are amazing!! I would have to go with the Classic in muted teal or the Libby in Sapphire!!! Best giveaway!! My favorite bag is the B-Hobo in Muted Teal! THANKS so much for the chance ~ I'd LOVE to win one of these! I love the B Hobo in Heather Gray. Love The JuJu. In muted teal. I am in love with all of Kelly Moore's bags! I think the one that would work best for me is the 2Sues bag in raspberry! I LOVE Kelly Moore bags!! The b-hobo bag in black is my favorite for sure! The Libby bag is phenomenal. And what other color to get it in besides orange?! Oh I would so love the JuJu bag in muted teal! I love, love, love the Mimi in grey. I spotted these bags for the first time a couple of weeks ago and immediately fell in love with them. I absolutely love the Mimi bag in grey. I need this desperately for my camera, because my current case is not very nice looking at all. i love the ju ju bag in blue! i just bought a new SLR, so this bag would be perfect to carry around! Loving the 2 Sues. Color...I don't know how to choose. Awesome give-a-way!!!!! The Kelly Boy in grey is my favorite... so functional and stylish, I love it! Loving the juju bag in slate grey and bhobo bag in heather gray. This would be just one more excuse to upgrade my camera! HOW can you pick just one?! I really just had to close my eyes and point. Lol. But I think I'd pick the BHobo in Walnut. Maybe. Oh my goodness! I love the JuJu bag (in walnut)! I have been dying to get my hands on one! This would be an amazing thing to win! Fingers crossed! The Libby in orange is my favorite! Great giveaway! I have been wanting one of these bags for a while! I thought I had settled on a mustard B-Hobo, but I think now I am leaning towards the 2 Sues in grey. She has so many great bags! These bags are AWESOME! The JuJu is my favorite :) Fingers crossed!!! Thank you for running this promo! I dream about owning a Kelly Moore bag! Especially the Two Sues in raspberry!! xoxo artgirl <3's kelly moore bags! What gorgeous bags! The Posey is such a unique design. And I adore the muted teal! Delish!! Love all of them, but my favorites are the b Hobo in muted teal or azure and gorgeous! i just saw my friend's Posey bag and I want it soooo bad in "almost black"!! its the perfect size for me b/c i'm very petite. i would use it for when i travel or want to go out & use my camera for personal reason but don't wanna lug around an ugly camera bag! LOVE the Mimi and the B hobo in just about any of the colors. This is so crazy, I was looking at her bags yesterday trying to decide which one to get for an upcoming vacation! I still haven't been able to decide between the Classic and the B-Hobo. Aaaaahhh my heart pitter patters at the site of each pretentious yet utilitarian bags :D The Libby in Orange is the bag for me!!! Hobo in Walnut (or maybe Mustard!) Very hard to pick just one! Oh my goodness! I love love love the Juju Bag (in walnut)! I have been dying to get my hands on one! This would be an amazing giveaway to win! So generous of Kelly to do this! Fingers crossed! I DREAM about owning a Kelly Moore bag! Especially the Two Sues in raspberry!! I really like the Kelly Boy bag in brown. All of them are so nice looking though! Ditto the love of the B-hobo in Mustard! I love the JuJu in slate gray!!! I love these bags! one of my favorites is the 2 Sues in the Rasberry color :) What a great opportunity,Thank you! My fiancé would kill for the Libby bag in Caramel! I'm a girl, but I love the Kelly Boy in brown. I LOVE the Classic, and I can't decide between rich fuscia or muted teal. The Kelly Boy Bag in mustard seems the perfect blend of classic style and modern color. Love! I love the "classic" bag in muted teal! I love the Libby in Sapphire. wow those are AMAZING, The classic is, well, classic and perfect it seems!! Omg it's gorgeous! Saphire is amazing! WANT! classic in fuschia or 2 sues in walnut. I love the JuJu bag in Slate Grey. Such a beautiful bag. I am obsessed with the Libby in orange. Crossing my fingers! I love the 2 sues bag in raspberry. They are gorgeous bags!! Kelly Boy in brown. I already have Mimi in lavender and love it! My camera would be OH SO HAPPY in the classic bag in either purple or brown! Me thinks I'm head over heals for the kelly boy in mustard! Yummy! i think I just fell in Love with Libby in Sapphire. The Kelly Boy Bag in brown is my fave! Love the leather look! The Kelly Boy in brown is my favorite. Thanks for hosting the giveaway! I love them all. I have been pining for one for ages! I love, love, the Libby bag in Sapphire... sigh. So lovely! Love the Kelly Boy in brown - so versatile! Beautiful bags! One of my favorites is the juju in teal! mmmmm... B Hobo in green, yum! I love the Libby in lavendar. I love the 2 sues bag, especially in raspberry color. It is so bright and has so much storage! Please let this be the KM giveaway that I win! Puh-lease! I really like the Classic in teal. But I might just have to go for fun and say the 2 Sues in Raspberry! Adore the Mimi in Gray! Kelly Boy Bag in mustard or brown. i can't decide! Thanks for the chance to win! Thank you for such a wonderful giveaway! I love ALL of the bags but if I must choose, I think i would like the 2 Sues bag in mustard or grey. I love the 2 Sues in Mustard - absolutely perfect! I love the Kelly boy bag in muted teal. Love Kelly's bags! I don't just want one, I needs it :-) I am smitten with The Classic in Muted Teal. Pretty colour! I would love the Kelly boy bag in muted teal. Great bags! The Mimi bag in black is my favorite. These are fantastic. I'm in love with the B-Hobo...can't decide between Heather Gray or Coral. I suppose Heather Gray would go with whatever I'm wearing...but I do love pink! I cannot choose between the 2 Sues in grey and the B Hobo in grey. If I win (which I won't, because I just don't win these things), I'll let you choose! THESE.BAGS.ARE.SO.AWESOME. I love the 2 Sues in Walnut. So classic! I love the B Hobo in Heather Grey! The Libby is awesome! I think I'd love it in either Caramel, Grey, or Orange. I can't pick! I love the Kelly Boy Bag in brown...the girlie bags are all awesome but for me, the Kelly Boy is so versatile for work and play! Coolness! I like the B Hobo bag in Heather Gray. Love the juju bag in muted teal! I would love the Hobo in grey, but I would let my daughter--the real photographer in the family choose and it would be a bright color for sure! I would love the Mimi in gray! I can't afford a fancy camera bag so I lug mine around in my too-small purse. Beautiful bags! Oh, I'd love the poesy bag in slate grey. I love the Kelly Boy in Brown! Thanks for the giveaway, can't wait to see who wins. Love the B Hobo in azure. Or coral. Or muted teal. SHUT UP!!! I'm so glad your having this contest. I love LOVE Kelly's bags - gorge!! I think I'm leaning toward the Kelly Boy bag - super cute! In brown, but of course if it was in orange I'd be all over that! I love the B Hobo in gray! So beautiful! I love the Kelly Moore Classic bag in brown. It is gorgeous!! Not to be a total copycat, but I like the hobo in mustard. Those are some great camera bags. i am totally digging the Libby in ORANGE! love it! Oh I love Kelly Moore bags! My favourite has to be the 2 Sues Bag in Raspberry - love it! I love the Juju in Slate Grey. oh boy! Definitely the Libby in orange. Hands down a winner!! I LOVE all of these bags but my favorite is the classic style in grey! Ooohhh! 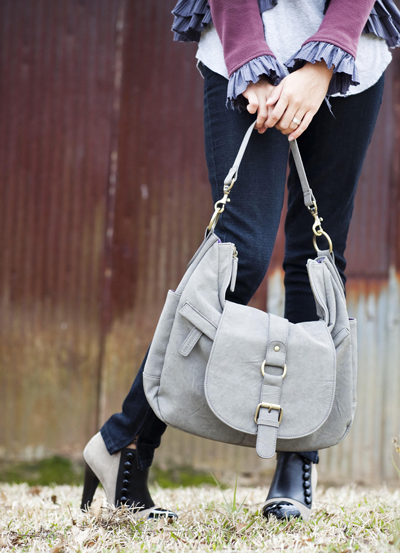 Love the gray Hobo! All of them are incredible..but the pink catches my eye. I've been looking for a camera bag. But who wants an ugly black bulky one? The B-Hobo in coral is totally CUTE!! The Mimi Bag in black is my favorite. They're all great, though! OMG! this bags are awsome! The Kelly Boy in brown is ma absolute favorite! I love the classic in purple. oooooo! Love this! I also looooove the Libby in caramel! Have to get my hands on it!